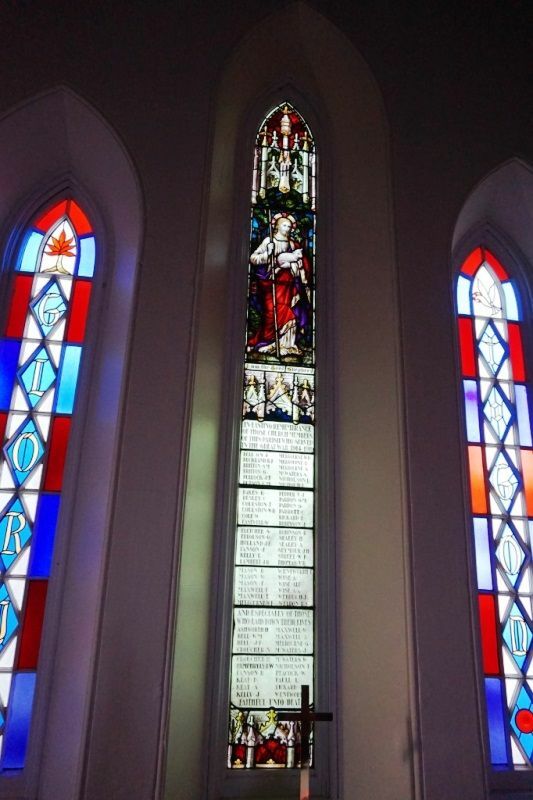 A window commemorates members of the parish who served in World War One. YACKANDANDAH. (From Our Own Correspondent.) 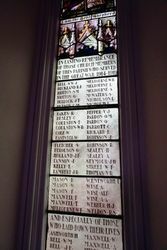 On Sunday, 29th August, the pretty little Church of England was packed to overflowing when the ceremony of unveiling a beautifully stained window erected to the memory of lads belonging to the church, who had served in the great war, was performed by the Rev. 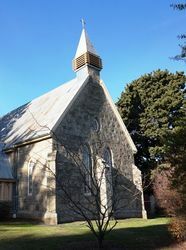 Archdeacon Potter of Beechworth. 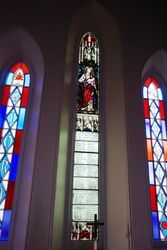 It was also the final occasion on which the Rev. 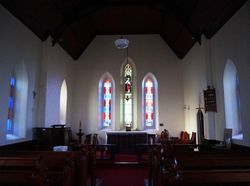 Mr. Preece, who has been in charge of the parish for over nine years, would hold service, as he is leaving immediately for Dunoon, on the North Coast. 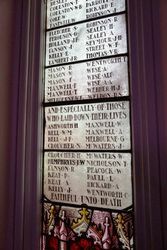 For some time it has been Mr. Preece's great ambition to get three memorial windows in the eastern end of the church but the best he could get done was the centre one, which is a beautiful work, with all the lads names inscribed. Mr. Preece will be greatly missed. Albury Banner and Wodonga Express (NSW), 3 September 1920.